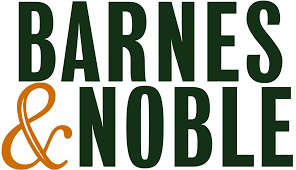 Barnes & Noble, Inc. (NYSE: BKS), the world’s largest retail bookseller, today announced that Timothy Mantel has been named Chief Merchandising Officer. Mr. Mantel, whose appointment is effective immediately, will report to Demos Parneros, Chief Executive Officer of Barnes & Noble. In his new role as CMO, Mr. Mantel will be responsible for driving sales and profitability in all areas of merchandising within the Company, including Books, Toys & Games, Gift, Newsstand and Music and Entertainment. Mr. Mantel previously held the role of Chief Merchandising Officer for GNC Corporation, where he led a $2.6 billion product portfolio and helped relaunch the company’s business model. He also successfully streamlined and reinvigorated GNC’s owned brand portfolio positioning it for sales and margin growth now and in the future. Prior to that, Mr. Mantel was Senior Vice President, Food, Household Essentials and Food Service at Target Corporation, where he led a $20.9 billion merchandising group with 19 teams and 320 employees. He directed strategic repositioning of the business to achieve online and store growth, as well as overseeing assortment planning, store presentation, marketing and pricing. Mr. Mantel had previously served as President Target Sourcing Services and held various positions from business analyst to buyer and merchandise planning director early in his career. Mr. Mantel is a graduate of The University of Wisconsin’s Madison School of Business, where he studied Marketing and International Business. He has served on various boards including Nibakure Children’s Village, a nonprofit that helps communities in Rwanda, as well as the Retail Industry Leaders Association Apparel Coalition.